Well, there’s nothing more to be done about it now. I’ve just sent my final draft of my next book manuscript to the publisher. There’s a sense of relief at being done, but also trepidation at the impossibility of further revisions. After years of researching, writing, then revising, revising, revising, it’s hard to believe I won’t be able to keep tweaking and improving. In general, though, I’m extremely pleased with the shape of the manuscript. 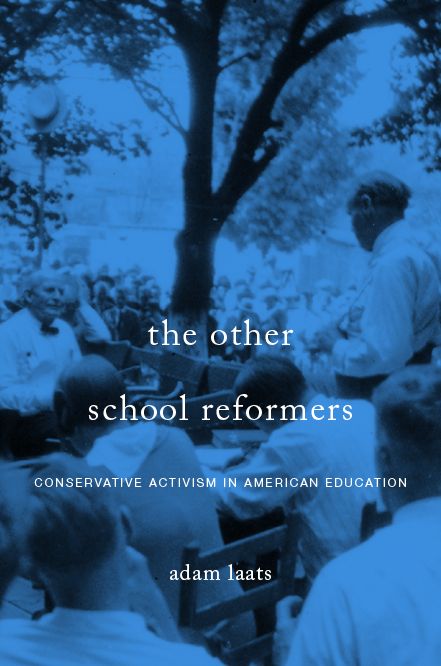 In a nutshell, I try to make the case that we’ve seen a potent tradition of educational conservatism in the United States, one that has had a decisive impact on the structure and content of schooling. And, I argue, that tradition has not been recognized by historians or education scholars. To make this case, I examine in four looooong chapters the four biggest school controversies in twentieth-century America: the Scopes Trial of 1925, the Rugg textbook controversy of 1939-41, the Pasadena superintendent ouster of 1950, and the Kanawha County textbook battle of 1974-75. What did conservatives say and do in these controversies? In each case, the attention-grabbing events attracted conservative participation from both locals and national leaders. In each case, the issues prompted conservatives to articulate their visions of proper schooling. To me, that’s the interesting question. We’re still a ways from final publication. The publisher will send me proofs in July. At that stage, I’ll put together the index and fine-tooth-comb the proofs for any typos. But I won’t be able to make substantive changes at that point, just minor corrections. During these last weeks, as I’ve been going over the copy-edited chapter files, I’ve been very grateful for the careful work of the editor. She or he pointed out some embarrassing errors on my part and I’ve been able to make changes in the argument. Hopefully this draft is as crystal-clear as I can make it. I’m looking forward to hearing what readers think of the book. For that, I’ll have to wait until 2015. The press will release the book on January 12, 2015. Pre-orders are available!